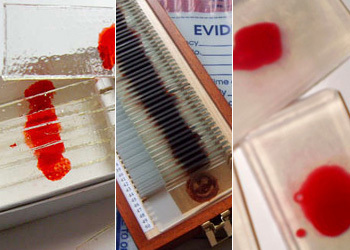 Dexter Morgan’s blood slides — his collection of “trophies” from each of his kills — are such an iconic part of the Showtime series that star Michael C. Hall gave his oncologist (a fan of the show) a prop slide box to keep bone marrow blood slides in. 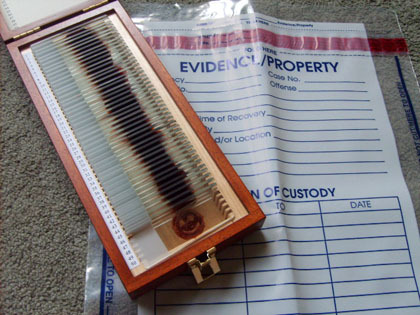 But he’s not the only fan with slides like Dexter’s — several others have found ways to incorporate them into crafts of various sorts, all without having to resort to murder. 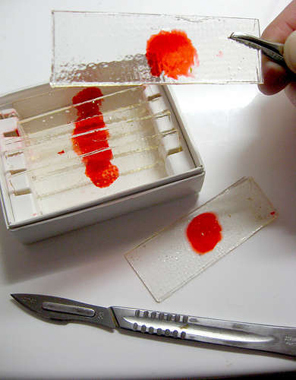 Instructables user Forkable started with a Martha Stewart lollipop recipe and created these candy versions of Dexter’s blood slides. Follow the link for the recipe and directions on how to make your own! 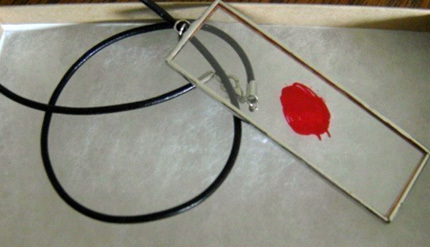 GothicGlassStudio sells this hand-crafted “blood slide” pendant on Etsy, in both “splot” and “splat” varieties. 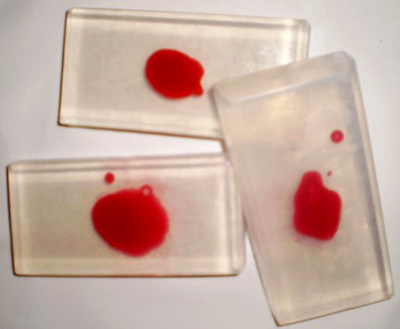 Etsy seller Bloodbath offers these soaps made to look like the famous blood slides — and they even smell like blood orange! 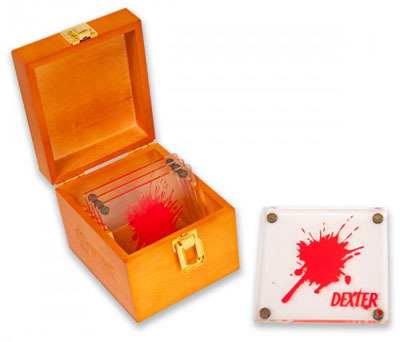 Officially licensed by and sold through Showtime, these acrylic coasters not only look like blood slides, with giant red splatters, but come in a mini-version of the slide box, carved with the Dexter logo.